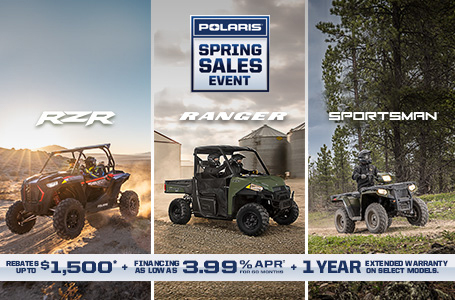 Off-road performance starts with power, and the RZR XP 4 1000 delivers 110 horses of it at 8,000 RPM with the proven ProStar® 1000 H.O. engine. 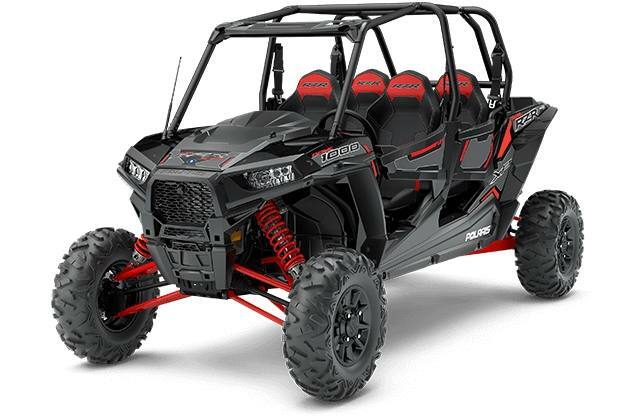 The heart of this RZR delivers torque—up to 71 lb-ft of it—as soon as you step on the gas for pure off-road excitement on trails, dunes, deserts, and more. All of that Power and Suspension demands agile handling, and the RZR XP 4 1000 RIDE COMMAND Edition delivers with the fastest engaging AWD in the industry. The RIDE COMMAND Edition delivers all the adjustability, comfort, and storage of the RZR XP 4 1000, but adds connectivity to devices, people, and your machine like never before. The RIDE COMMAND 7" Display isn't the only feature that comes standard. In-door audio lets you enjoy whatever you're listening to, at any speed, by automatically adjusting volume with vehicle speed. And standard front and rear wired cameras show those hard-to-see spots right on the display.